A number of well-known players currently find themselves out of favour at some of the biggest clubs in Europe, including Barcelona, Bayern Munich and Juventus. As squad’s continue to evolve, established names can get pushed out or usurped by up-and-coming young players. We’ve taken a look at six big-name players around Europe who are currently struggling for first-team football. 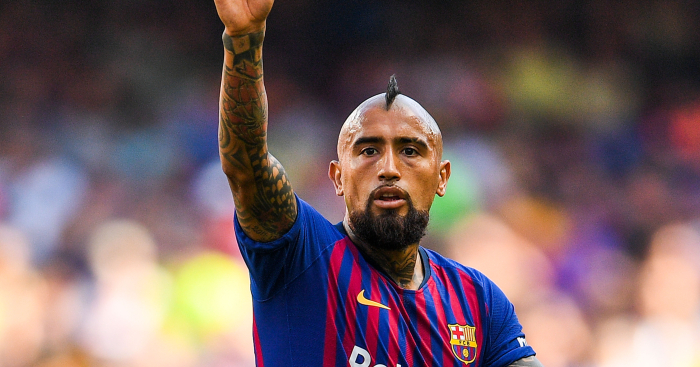 It has been an unhappy start to life at the Nou Camp for Vidal, who faces the notoriously difficult task of trying to break into Barcelona’s midfield. Sergio Busquets, Ivan Rakitic, Philippe Coutinho and fellow summer signing Arthur are all above Vidal in the pecking order, with the former Juventus and Bayern Munich man making just two starts in all competition this term. The 31-year-old has already taken to social media twice to vent his frustration and explained his current situation to reporters while on international duty with Chile. “I am not happy but if I have a problem with the coach I will say it to his face,” he said. “How am I going to be happy if I don’t play, and me of all people? I am someone that has always fought, that has been in the best teams in the world, that has won everything and who wants to continue winning at Barcelona. 📸 Arturo Vidal on Instagram: "Don't fight with the Judas, they hang themselves." Martinez was dropped by Bayern last season after reportedly falling out with Jupp Heynckes due to a poor attitude – and subsequently missed out on Spain’s squad for the World Cup. The defensive midfielder was linked with a move to Napoli in the summer but instead saw Vidal and Sebastian Rudy, two players with whom he competed for a place in the starting XI, depart instead. However, an increase in playing time has failed to materialise under new boss Niko Kovac, with Martinez making just two starts in the Bundesliga as Bayern have made a surprisingly poor start to the season. In Assist King Jadon Sancho and six-goals-in-81-minutes Paco Alcácer, Borussia Dortmund could lay claim to possessing two of the most dangerous super subs in Europe this term. Gotze did his best to add his name to that list by scoring off the bench in the thrilling 4-3 win over Augsburg this weekend – but that represented his first 13 minutes of Bundesliga action to date. Hopefully, his goal-scoring cameo can be a turning point for the World Cup winner. Much like a midfielder at Barcelona, trying to establish yourself as one of Juventus’ starting centre-backs is not a task for the faint-hearted. Giorgio Chiellini and Leonardo Bonucci have been Max Allegri’s favoured duo so far this term, leaving Medhi Benatia, Andrea Barzagli and Rugani to watch on in envy. Italy international Rugani was linked with a move to Chelsea in the summer, and the Daily Mail suggest the Blues could revive their interest in the 24-year-old given he has made just one appearance in Serie A this season, with talks over a new contract having also reportedly stalled. Rugani previously shone under current Chelsea boss Maurizio Sarri at Empoli, helping the side to promotion before starring in his debut campaign in the top flight. A player who regularly cropped up in gossip columns linked with a move to one of English football’s big boys, Martins joined Atletico Madrid in the summer as part of the exodus from Sporting Lisbon. Sporting have launched a legal case against Atleti’s signing of the winger, and the Spanish club must be wondering if it’s worth the hassle given the winger has played just 57 minutes of La Liga football across three substitute appearances. Literally a big name and, with just half an hour of league football to his name at PSG, very much out of favour. A weird signing, all in all.